Get ultra-fast data access by adding an NVMe U.2 SSD to your computer. 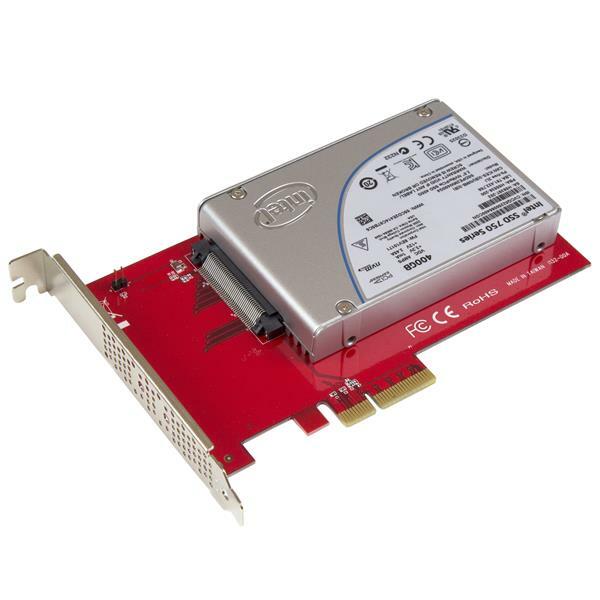 This U.2 to PCIe adapter lets you add a high-speed, U.2 (4-lane PCIe) 2.5" NVMe SSD, such as the Intel® 750 Series drive, to a PC with an available x4 PCI Express expansion slot. You can mount the PCIe U.2 drive directly onto the adapter, giving you an easy and convenient way to improve your system performance and expand overall internal storage. 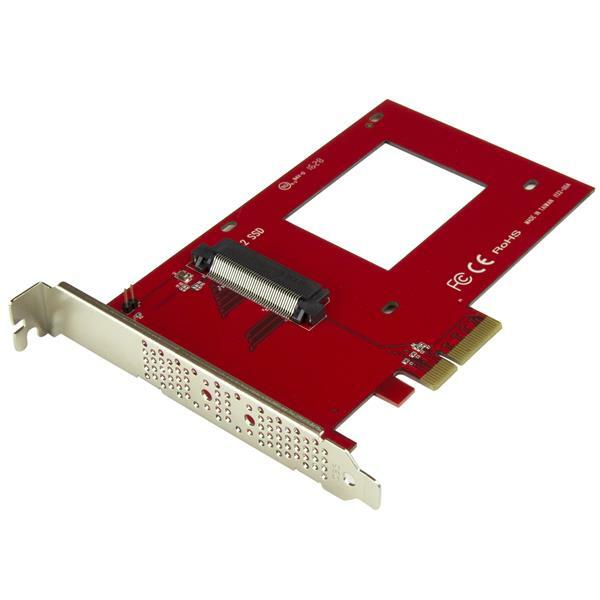 The expansion card lets you take full advantage of the fast performance and compact size of PCIe U.2 internal solid-state drives. The adapter connects directly to your computer motherboard to support an NVMe U.2 PCIe-based SSD through ultra-fast x4 PCIe. With the U.2 PCIe-based drive in place, the adapter gives your computer a significant speed boost. 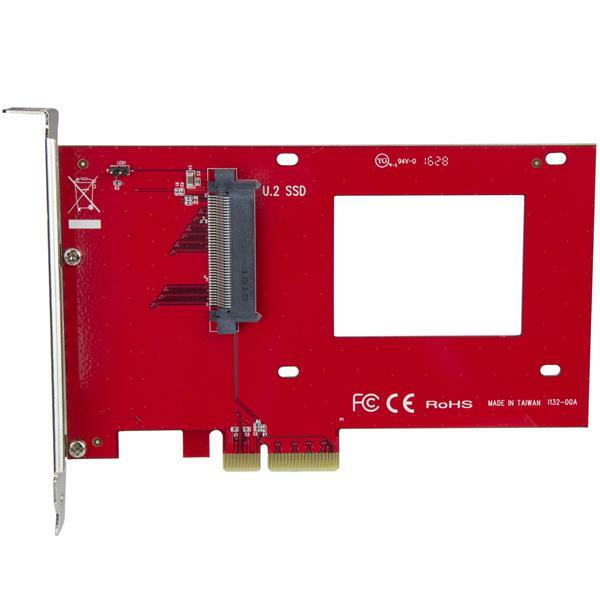 The expansion card is equipped with a full-profile bracket and doesn’t require an adapter cable for installation, this helps to reduce clutter and simplifies system builds. The drive connects directly to the SFF-8639 connector on the adapter, and the adapter connects directly to the computer motherboard. 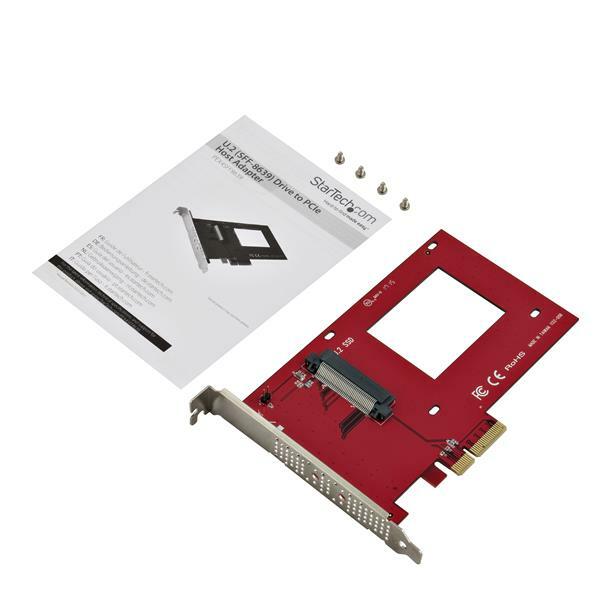 The adapter is compatible with PCIe 3.0 motherboards and is also backward compatible with PCIe 2.0 and PCIe 1.0. The PEX4SFF8639 is backed by a StarTech.com 2-year warranty and free lifetime technical support.